I used to have disabling back pain. Now it's under control. I attribute this to several things I've done that help my back. 2. Shower, as recommended by a chiropractor: 5 minutes on my back as hot as I can stand, followed by 1 minute as cold as a I can stand. I also do the yoga six motions of the spine under the hot water, every time I take a shower. These are the cat & dog stretches, the puppy dog stretches, and twisting. I've got to do a video of this, so people who don't know what I am taking about will understand. 3. Use of ice for the first 2 days after an acute episode of pain. Again, as recommended by the chiropractor, it's 15 minutes of ice every hour, as needed. 5. Daily yoga, exercise and/or weight routines, many of which are geared around the six motions of the spine, as well as strengthening abdominal muscles and back leg lifts.. I keep meaning to do youtube videos of my routines. I have six different routines, which i keep rotating through. I haven't got round to posting videos. As my ex used to say, there is a shortage of round to-its. 6. Loose clothing. I find tight clothing tends to send my muscles into painful spasms. This includes waistlines and underwear elastic. I am most comfortable in loose dresses. If I were a guy, who might not feel comfortable with dresses, would wear loose pants with suspenders. 7. Staying regular. Constipation causes back pain. 10. Doing the child pose for at least 30s followed by the rotation pose on both sides in response to low back pain. Also useful: locust. I should say, too, that carrying kids was a challenge. I was in the chiropractor's office much more often when I was carrying pre-schoolers. This is very frustrating. When Apple updates its operating system, suddenly old third party software doesn't work. It makes me worry that Apple and the other software companies are in cahoots to force users to buy new software. Unfortunately, I don't know if the government still cares about or enforces anti-trust laws. In the present case, my Microsoft Word for Mac 2011 has developed a bug since an operating system update. This is a screen shot of a "save as" function. You will note that the "save as" window now extends past the bottom of the screen. This prevents me from accessing the security options, such as adding passwords or removing identifying information from a document. I had this problem earlier, because I was forced to buy Quickbooks 2016 and replace Quickbooks 2011, because of an operating system update. This type of arrogance towards forcing the consumer to buy new software is infuriating. 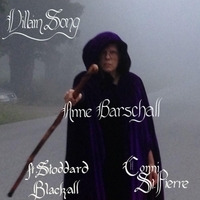 I've recently released my single, "Villain Song." I originally wrote this song for a contest. In 2014, Jaguar had an ad at the Super Bowl with the slogan "good to be bad." link to ad The ad featured British actors who had played villains in Hollywood movies. I wrote -- maybe tweeted -- Jaguar and told them I wished I could be a villain in a Hollywood movie. They told me that they couldn't help me achieve that goal, but that I could participate in their Villain contest. The prize was a trip to New Mexico and lessons from a race car driver driving their f type around a racetrack. I decided that I would like to win this contest, because it might help me position myself as an actress who wants to play villain roles. I didn't win the contest. I wasn't considered most villainous. However, I still had this song, so I decided to get it arranged. I hired my friend Stoddy Blackall to do the arrangement. He's a young singer/songwriter/pianist who is a graduate of the Berklee College of Music. I met him, because he was accompanying musical improv comedy in NYC and I have been studying musical improv comedy. I was always very impressed with his work as an improvisational accompanist. I found him to be exceptionally creative in a field of creative pianists. I think he's done an amazing job here. Then I had this piece professionally recorded at the Outlook Recording Studio in Bethel, Maine. Conni St. Pierre, one of the co-owners, added a bit of percussion, to make it even spookier and more foreboding. Warning: violent, sociopathic lyrics -- but it's really for fun. I don't want to kill you. I just want to play a villain. In my path, you are my fool. Their slimed remains my triumph's root. I'm also working on a music video for this song. In the music video, there will be a dancer who is my character's victim. The director of the video suggested that the song might by symbolic of my fight against cancer and that the dancer might represent the cancer. I think, when you're talking about a dream, the dreamer is every character in the dream. I am the villain. I am the cancer. I am fighting the cancer. I am fighting me. The dancer is the cancer. The dancer is me. That's how the subconscious works. I've found that about my fantasies. In retrospect, though, I don't really think the song is only about fighting cancer. I think I'm angry about a number of things. The villain character is also the personification of my general rage, not just about cancer. I ended up being very dissatisfied with this shoot and I am restarting in 2018, currently interviewing new directors. I did think that the dancer, Olga Bogdanova, was amazing -- but the rest I was not happy with. Here are some photos Sheila Furjanic took of me when I was participating in the Villain Contest sponsored by Jaguar USA in 2014, which inspired this song. They wanted a photo of me with the f4. I am normally very frugal with cars. My last two cars that I bought were used Dodge Caravans. I must say though that this car was *very* enticing. I did wish I could have driven it. I was in chemo when I participated in the contest. That's why I was bald. I hoped it would give me a more villainous look. I may be in chemo again soon, so this may be my future as well as my past.